The Heart Chakra – also known as the Fourth chakra, and Anahata chakra – is located next to your physical heart, along your spine right in the center of your chest. The heart, lungs, breasts, upper torso, shoulders, arms, hands, and thymus gland, are governed by the fourth chakra. It is the energy center for expressing and balancing your own emotions and needs, while considering the emotions and needs of others. The heart chakra is associated to the color Green, the element Air, and the sense of Touch. Heart chakra healing is about open and balance the 4th chakra. The fourth chakra plays a major role in how you feel and express unconditional love to yourself and others. By opening the heart chakra with different heart chakra healing techniques, you will allow unconditional love to freely flow in to your experience. Heart chakra healing is about embracing unconditional love, forgiveness, and about loving and accepting yourself and others. It’s about about letting go of anger, hatred, jealousy, bitterness, grief, self-centeredness, and fears of betrayal and loneliness. What is Higher Heart Chakra Healing? Due to human evolution, we have now also access to the higher heart chakra, also called as the Thymus Chakra, High Heart, Unified Heart and Soul Seat. It is located just above the physical thymus gland – above and to the right of the heart chakra – between the heart and the throat chakra. Also, the higher heart chakra is situated further out in the human aura; in the area of the etheric heart. The thymus chakra resonates to the colors aqua, turquoise, green/pink. 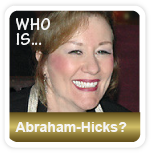 So what is the difference between regular heart chakra healing and higher heart chakra healing? Regular heart chakra healing is about earthy love and emotional healing, and its highest manifestation is unconditional love. The higher chakra’s starting point is unconditional love and it is the ultimate center for love and compassion. The higher heart chakra is situated between the heart chakra and the throat chakra, and thus connects the emotions of forgiveness, compassion, truth, and Divine love (the heart chakra), to the area where our language originates (the throat chakra). Our intents originates from this area, and it is from here we allow to speak from the heart. Also, higher heart chakra healing allows communication between human and spirits, making it possible for true guidance to flow easily. It enables communication with our higher self, our personal guide, and the Angelic realm / the realms of light. Higher heart chakra healing is about releasing fear, and selflessness, and also about forgiveness, compassion, and connecting to the Divine love. Higher heart chakra healing will help you to connect with spiritual love and higher consciousness. Healing the thymus chakra will create a stronger healing outcome, since it is associated with the thymus gland, responsible for the immune system and DNA. Furthermore, higher heart chakra healing aids communication, and the use of sound resonates with the higher heart chakra. This is why sound healing has a very strong healing effect in the etheric body. The heart chakra is an energy center in the body. A blocked heart chakra will not be able to operate at its full capacity, and if it stays blocked for a longer period, it can cause problems in your physical and emotional health. The solution to any heart chakra pain on the physical and mental level, is to open the heart chakra. There are different heart chakra techniques, that you can apply to open your heart chakra. Below you will find very effective healing tools for the fourth chakra, Anahata, that you can apply on your own. These techniques can heal any heart chakra pain or issue that is caused by a blocked heart chakra. So, what are the signs of a closed heart chakra? Let’s see what kind of problems heart chakra healing can resolve. What can Heart Chakra Healing help you with? Heart chakra healing will help you to easily express love to yourself and others. A person with an open heart chakra, is able to show empathy, compassion, and will have the ability to see the Divine in other people. Healing the heart chakra will help you to give and receive abundant love. You will not only be interested in your own well-being, but also in the well-being of your family, friends, co-workers, and people in general. You will no longer think that it is ”you against the world”, but rather see yourself as part of the world. Your capacity to be generous, forgiving, and tolerant will expand with a balanced heart chakra. As you open your fourth chakra with heart chakra healing, you will be able to heal yourself and others. With an open heart chakra you will also feel more happy and fulfilled, as you are following your Divine purpose to serve humanity. You will be able to turn any situation into a pleasant one. You will no longer be ruled by your ego and act from a place of fear. Instead, you will act from love. As your heart chakra opens, your consciousness will expand and you will see that we are all one. You will realize that loving others is to love yourself. Heart chakra healing will connect you to the power of your higher self; to higher love and wisdom. On the physical level, heart chakra healing can help with immune deficiency, cardiovascular problems, hypertension, stroke, heart attack, respiratory problems, asthma, breast lumps, pain in arms, hands, shoulders and between shoulder blades. 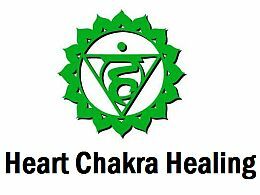 Do you need Heart Chakra Healing? A blocked heart chakra can be manifested as discomfort or disease on the mental, emotional and physical level. There are different signs that are letting you know if you have a blocked or closed heart chakra. If you often feel guarded and have difficulty in trusting people, or if you feel emotionally closed and bitter, and can’t really enjoy life, then heart chakra healing could be very beneficial for you. Another clear sing of a blocked or closed heart chakra is if you can’t express and receive love from yourself and others. If you criticize, judge, manipulate, or if you are often being melodramatic and moody, you can be sure that you have a blocked heart chakra and could benefit from heart chakra healing. Also, if you feel alienated, are at war with yourself, or have self-destructive tendencies, heart chakra healing could be very helpful since it opens the heart chakra, and thus allows the positive energy of love and joy to flow freely within you. Other signs of heart chakra pain and blocked heart chakra on a physical level are: problems with the circulatory and respiratory system, chest pain, heart disorders, bronchitis, pneumonia, asthma, allergies, emphysema, breast lumps/cysts, carpal tunnel, or pain in arms, hands, shoulders, or between the shoulder-blades. If you have any of these problems, then it could be very beneficial for you to heal your heart chakra. Do you have a balanced, deficient, or an excessive Heart Chakra? 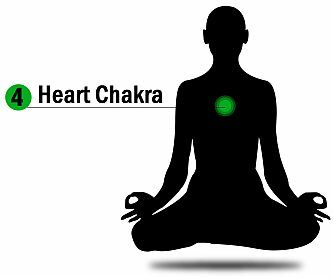 Healing the heart chakra is a really good idea if you have a deficient or an excessive heart chakra, because it doesn’t only cure the symptoms, it heals the root problem that is causing the heart chakra blockage. The following heart chakra healing techniques will help you balance your fourth chakra: heart chakra affirmations, heart chakra stones & crystals, essential oils, foods, heart chakra yoga poses, heart chakra meditation, and sound healing. Learn about the different healing tools and pick the one that feels right for you. It is helpful to alternate between a few of the healing tools to make the heart chakra healing process more fresh and fun. Enjoy! It can be very beneficial to work with heart chakra affirmations, if you have a blocked heart chakra. So, what are “affirmations”? Affirmations are powerful statements that you repeat to yourself to reprogram your beliefs. Heart chakra affirmations will help you feel unconditional love to yourself and others. They will also help you to balance your own needs to the needs of others. As you affirm statements that resonate with the heart chakra, you will change your vibration in your fourth chakra. Heart chakra affirmations can be very powerful to open the heart chakra. Choose a few heart chakra affirmations that resonate with you. Write them down on post-it notes, and place them wherever you can see them often: on your mirror, computer screen, fridge, in your wallet, car etc. Don’t forget to be in a good mood as you do the heart chakra affirmations. If the process doesn’t feel uplifting, then do something else that will make you feel better, and then go back and do the heart chakra affirmations. To heal the fourth chakra with stones & crystals is very simple, yet effective. If you suffer from a blocked heart chakra, wear a beautiful heart chakra stone on a daily basis to benefit from the healing powers. The colors green and pink resonate with the heart chakra, and crystals & stones in this colors are very powerful in healing the fourth chakra. Green aventurine and rose quartz are two very common heart chakra stones that are very effective in aiding the fourth chakra, Anahata. Essential oils can be very helpful for anyone who suffers from a blocked heart chakra. To use essential oils for heart chakra healing, add a few drops into your bathtub / foot bath. You can also use an oil burner or a diffuser to inhale the healing scent to open the heart chakra. Below are examples of heart chakra essential oils that are often used to heal the fourth chakra Anahata. Yoga is a powerful healing technique to open and activate the fourth chakra. Below are some very beneficial heart chakra poses to heal the heart chakra. This heart chakra pose – Cobra – is good for the heart and will improve the blood circulation. Furthermore, it will open the chest, expand the lungs, and strengthen the spine, back, shoulders, and arms. The Camel pose is great for balancing your fourth chakra. 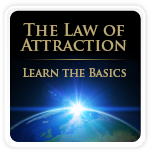 It will open up the chest area, making you more open to giving and receiving love. This heart chakra pose will stimulate the organs in the abdomen, and strengthen your back. It will also stretch your throat, chest, abdomen, and hips. The heart chakra is found at the front and at the back of the body. So, if you have a blocked heart chakra it’s equally important to do a yoga pose that opens the back as well as the front, in order to balance the fourth chakra. The two yoga poses above – Cobra & Camel – opened the front, and now it’s time to open the back with a heart chakra pose called the Forward Bend Pose, Uttanasana. This yoga pose – Forward Bend – will open up the spinal column, stimulate the nervous system, and clear any blockages that exist in the heart chakra. Guided meditation for the fourth chakra Anahata, can be very helpful if you have a blocked heart chakra. It will assist in opening the heart chakra so that you fully can allow unconditional love to flow through you and into your life experience. Below are heart chakra meditation videos that you can use as often as you like to balance your heart chakra. Enjoy the healing benefits! Solfeggio frequency at 639 Hz is the frequency of heart chakra healing. By listening to this Solfeggio frequency you will enhance love, communication, understanding, and tolerance. Use headphones as you listen to this healing frequency. Sound healing is a very powerful healing technique for the higher heart chakra, or the thymus chakra. It is the area of the etheric heart, and this is why the use of sound healing for the higher heart chakra has a strong healing effect in the etheric body. Sound healing on the thymus chakra can help you to release any fear that is stuck inside of you. You will connect to the Divine love and become more selfless, forgiving, and compassionate. Close your eyes as you listen to music in F# major. Visualize the color of the higher heart chakra turquoise/pink swirling like a spiral of light. Draw this turquoise/pink light to the center of your breast bone, where your higher heart chakra is located. Then, imagine a white wheel swirling above your thymus chakra and simply ask the higher heart chakra to open. Say to yourself “My higher heart chakra is now open for the highest good of all”. Visualize how the white wheel merges with the turquoises/pink energy of your higher heart chakra. Now, sing the higher heart chakra mantra “YAM” in key F# while focusing on your thymus chakra. Sing this higher heart chakra mantra “YAM” out loud for a few minutes and then sing it quietly in your head. Just focus on the key in your head. Feel this lovely energy of unconditional love and relax into the music as long as it feels comfortable. You have now learned different heart chakra healing techniques that you can apply, to open and heal your blocked heart chakra. Use them as often as you like. To make the healing process of the fourth chakra fresh and fun, it can be a good idea to alternate between the heart chakra healing tools. The healing process should never be ”work” or ”effort”. When you feel ease, you connect to the flow of this powerful healing energy. So, just relax and enjoy your heart chakra healing process.